I got my high school degree from Cochrane-Fountain City school district, and I have 2 semesters of college done (working on my third now). One of the main reasons I decided to come study here was because I get free tuition since my mother works here. The campus is also beautiful, and I enjoy the size of the community (it's bigger than my high school but still small enough to be relaxing). I was recommended to apply at the GSS offices by my mother, and I followed through with it because the work seemed interesting to me. Everything that I do at GSS adds to my overall knowledge. The biggest thing is that I've been taught how to use ArcMap, which is useful for many different things such as surveying populations of areas to decide where to start your business. I can also distinguish bodies of water I see in real life by their attributes, and I have a somewhat extensive knowledge on the types of weeds that will eventually take over and rule humanity. Although I'm not 100% sure on my major yet, knowing how to use tools such as ArcMap could help me with finding target markets as a marketing major. You can find me roaming around campus with buddies, or doing something outside. Whether it's longboarding, cliff jumping, hiking, or skiing, I always have something to do outdoors. You can also find my artistic endeavors online at https://soundcloud.com/compence , where I upload the music I write and produce. I am from India and graduated in Economics from there before I shifted my base to Minnesota in 2016. At present I am enrolled in the MS program in Data Intelligence and Geo Analytics (DIGA) at Saint Mary's Twin Cities campus. In the past, I have worked as a freelance content writer for a leading student academic magazine and developed content on articles related to Macro-Economics , Environmental Sciences and Financial-Economics. It was a great learning experience for me but I was always inclined towards learning the analytics side of data and I was happy to find Geographic Information Sciences. I definitely plan to explore more opportunities with DIGA and spatial mapping knowledge. What led you to GIS? More specifically, how did you get to Saint Mary's University of Minnesota (SMUMN)? I always liked maps and enjoyed discovering new places with the help of maps. I had no idea that spatial data collection can be a field of study altogether and can offer such useful insights to planning and resource management. So, when I was hunting for data analytics courses around, I came across GIS program and was fascinated with the course structure. Hence, I decided to take the next step into it. This University was recommended by a friend and I am very happy with the decision, as the course structure is very well developed and instructors take personal interest in your learning. The class atmosphere is friendly and very interactive, which helps you push your own limits. At present I am working on mapping wetlands in North Dakota. I started off by learning manual digitization of linears and polygons following training and attribution standards given by the National Wetlands Inventory, and my responsibility is to come up with an automation process for identification of wetlands in Fort Berthold reservation in North Dakota. Apart from that, there is also good learning on data development to spatial model building and raster/vector data analysis. This project is definitely increasing my knowledge base in GIS and also in Geo Analytics. It is interesting to see how every county has a different geography and needs different base imagery for wetlands identification and image interpretation. It has helped me develop my skill set in ArcGIS as well as Arc Pro. As I am almost near degree completion and now I think I would want to explore more work opportunities on projects related to Remote Sensing and Imagery Analysis in future. My current project on wetland mapping has been helpful as I can understand how spatial data collection can be put to use and then interpreted for further analysis. I do see myself taking keen interest in environmental conservation and hopefully climate change projects soon. It would definitely be very fulfilling for me. I am graduating this summer so most likely I would be available at the Twin Cities campus. I do like like to stay outdoors for running and cycling at Lake Calhoun in summers. Also exploring new restaurants in the city is something I enjoy a lot. 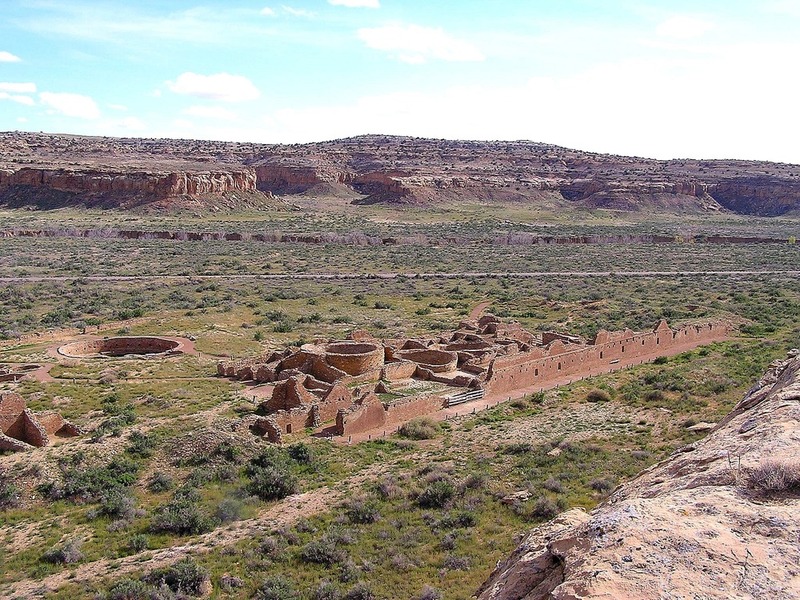 GSS was recently awarded a project in collaboration with Chaco Culture National Historical Park (CHCU) in New Mexico. Together, the two entities will work to assess, organize, create metadata, and prepare over 30,000 digital image files for uploading to the public NPGallery photo-viewing portal. This process will make thousands of digital photos spanning several decades available to NPS staff and the general public for the first time. In addition to the tasks outlined above, GSS will also be drafting two management plan documents for CHCU. The first management document will outline the specific procedures GSS will use to systematically sort and manage the digital images so that the end result conforms to NPS and CHCU expectations. The second written product will be a digital image management plan written specifically for CHCU staff. This document will provide step-by-step details for park staff, collaborators, and volunteers to follow when preparing a new digital image for uploading to NPGallery. It will outline how to attach metadata (i.e., what fields need to be completed, what the standard naming conventions are for each field, etc. ), how to credit the image creator/photographer, and will detail where the files should be saved internally. The end result of this effort will hopefully provide CHCU with the resources needed to quickly save and upload digital images so that they are publicly available. Chetro Ketl, a Chacoan “great house”, at Chaco Culture National Historical Park. In February of 2017, the Trump administration directed the Administrator of the Environmental Protection Agency (EPA)and the Assistant Secretary of the Army for Civil Works (Assistant Secretary) to revise the definition of Waters of the U.S. (WOTUS). The definition is used to determine which streams, rivers, lakes, coastlines and wetlands are protected from draining and filling under the Clean Water Act. Due to a combination of subsequent rule makings and court challenges, two definitions are currently used in the United States. There are 28 states where waters are defined by the 1986 definition of Waters of the U.S. in combination with guidance developed following the 2006 Rapanos Supreme Court decision and 22 states where waters are defined by the 2015 Clean Water Rule definition. In December 2018, the EPA and Department of Army published another proposed rule with a new definition of WOTUS to replace both of these. The new proposed rule would remove many waters and wetlands from Clean Water Act protection that are currently protected by both the 2015 and 1986 definitions. There is a clear need for analytical materials, such as a digital map of different watersheds in the U.S. that shows which waters and wetlands are protected and which are not protected under these three scenarios. Such a resource could help elected officials, policy makers and the public understand what waters are currently protected, as well as the extent and impact of the changes proposed by the Trump Administration, so they can comment on the proposed rule and plan for potential future changes in the extent of waters protected under the Clean Water Act. 1. Most Restrictive Scenario - This scenario limits protection of wetlands to those directly adjacent to perennial (permanent) streams/rivers only. 2. Very Restrictive Scenario - This scenario limits protection of wetlands to those adjacent to protected perennial (permanent) and intermittent (seasonal) streams/rivers. 3. Less Restrictive Scenario - This is the least restrictive of the modeled scenarios and limits protection of wetlands to those adjacent to protected perennial, intermittent and ephemeral (temporary) streams, and ditched or channelized streams. This comparative analysis was completed for three geographically diverse case study watersheds using GIS and publicly available geographic digital data. The methods and communication of results were guided by a project advisory committee made up of science and legal professionals. The results of the analyses in the case study watersheds show that narrowing the scope of federally protected waters would significantly reduce the number of streams, wetlands and wetland acreage protected by the Clean Water Act, leading to a potential loss of benefits provided by wetlands that would no longer be protected under the Act. These benefits include water quality protection, floodwater attenuation, fish habitat and wildlife habitat. The methods and results of this work can be found in the final report and in a story map developed with Esri technology. GSS was recently selected by the Bureau of Land Management to create wetland and riparian inventories for BLM-administered lands in the western United States and Alaska (see New Projects). This project includes work in New Mexico, Wyoming, Nevada, California, Utah, Idaho, Oregon, and Alaska. During early December, Kevin Stark and Eric Lindquist of GSS traveled to Southeast New Mexico for wetland field verification. They visited select wetland sites in recently mapped areas of Southeast New Mexico (South of Albuquerque and east of the towns of Roswell, Carlsbad, New Mexico). This area reaches east and south to the Texas border, covering parts of the Permian Basin which is located in western Texas and southeastern New Mexico. The Permian Basin gives its name to the large oil and natural gas production in the area. The Permian Basin is also a major source of potassium salts (potash), which are mined from bedded deposits of Permian age. The team verified and confirmed preliminary mapping done by GSS and worked to learn more about the newly created LLWW key for inland wetlands of the Western U.S. This information is then processed and mapping will be adjusted for project completion. Mapping has also begun in the Wyoming project area and continues to keep staff and student interns busy at Saint Mary’s University. An illustrated example of LLWW codes and modifiers for common situations in the western U.S. I am an international student from Vietnam. I first came to the U.S. in my senior year and graduated from Mt Tahoma high school in Tacoma, WA. After that, I started my post-secondary education at Saint Mary's University of Minnesota and am currently in my final year. I major in Physics/Engineering Science with minors in Mathematics and Computer Science. My junior year marked the beginning of various experiences where I gained valuable skills and knowledge, including working at GSS. The highlights for me are my research project with Dr. Demian Cho on information processing with respect to criticality and the CPBF summer school program at Princeton University over last summer, which contributed greatly to my commitment to go to graduate school. As I was searching for a suitable university, SMUMN was recommended to me by a close friend of our family who was attending the university at the time. Ultimately, I chose Saint Mary's as my home for the next 4 years of my life. Also through her recommendation, I applied for a job in the admissions office at SMUMN and worked there for 2 years. It was a good experience but I wanted to find something more in line with my interest and personality. I then found out about the GSS summer work opportunity and have been working with GIS ever since. The project I am currently working on involves mapping various wetland landscapes in Wyoming. This is the first project in which I started learning about using Google Earth Pro in conjunction with the given collateral data to aid the processes of delineating and attributing the wetlands. It taught me the benefits of going beyond the basic tools, which is particularly substantial in this line of work due to the importance of accurate data. Although GIS may not be a part of my career goals, my time at GSS has been a valuable working experience. It enhances the diversity of my experience with data analysis as well as my capacity for adopting new technology and working as part of a project team, which is extremely useful no matter what line of work I ultimately pursue. Outside of GSS, I normally would be in my room in Brother Leopold residence hall or the Science & Learning Center and Saint Mary's Hall. In my free time, I like to watch movies, play Ultimate Frisbee or basketball, and hang out with my friends.